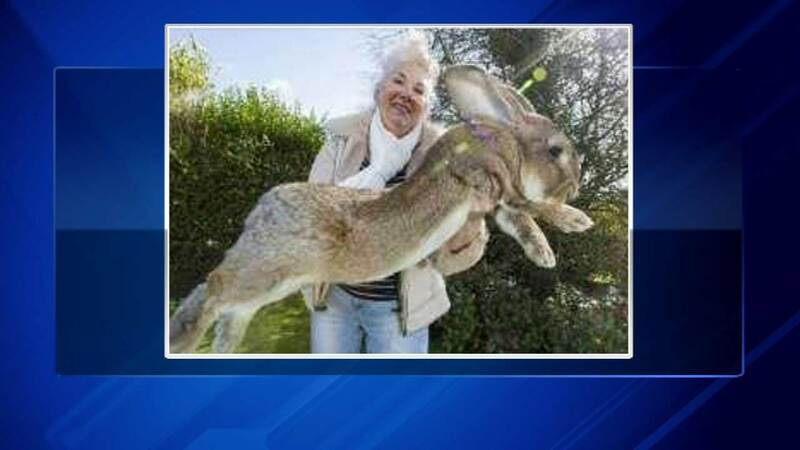 The Easter Bunny's got nothing on a giant rabbit in England who's going for the world record! Darius weighs about 50 pounds, and measures 4'4" in length. Annette Edwards spends $5,500 a year feeding him and his new son, Jeff, who's quickly catching up to dad in size. They eat 2,000 carrots, 700 apples and bales of hay. Baby Jeff is already nearly 4 feet long...so he'll eventually be even bigger than his dad.